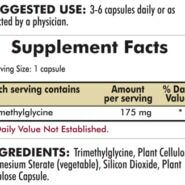 The dietary supplement dimethylglycine is a derivative of the amino acid glycine. Dimethylglycine forms in the body as well as in plant and animal life. The supplement reportedly may improve athletic performance and the body’s immune system. 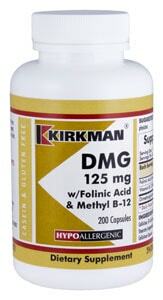 Foods rich in B vitamins contain at least small amounts of dimethylglycine. 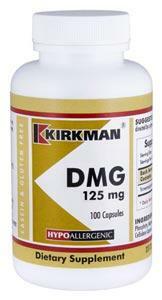 Dosages of DMG depend on several factors, and there are few known side effects from taking the supplement. 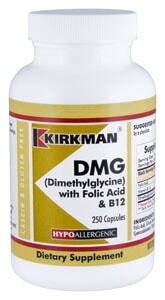 Also known by other names dimethylamino acetic acid, DMG, and N-methylsarcosine,dimethylglycine is essentially an amino acid, or a building block of protein. Small amounts of this substance can be found in the body. During cell production, the derivative acts as an intermediary in the choline-to-glycine metabolism process. The small intestine absorbsdimethylglycine before it transfers to the liver. 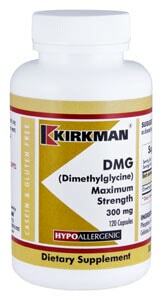 Dimethylglycine also appears naturally as a derivative in animal and plant cells. 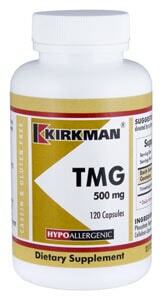 As a nutritional supplement, DMG reportedly improves sports performance in athletes. 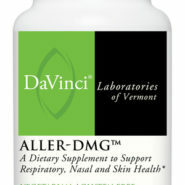 Dimethylglycine is also said to function as an antioxidant used to improve the body’s immune system. 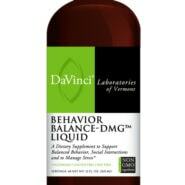 Other claims include DMG as an energy booster and a stress reducer as well as a treatment to control seizures. 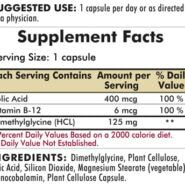 The supplement apparently lowers blood cholesterol, blood sugar, and blood pressure. 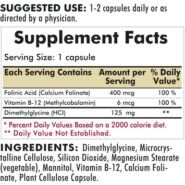 The amino acid derivative is also believed to treat symptoms of attention deficit hyperactivity disorder (ADHD) and chronic fatigue syndrome. It is also believed to help those with autism improve in their speech and behavior patterns. Such medical claims, however, have not been proven as effective. 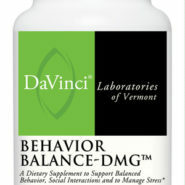 In addition to plant and animal cells, DMG may be found naturally in vitamin B-rich foods. It is also known as vitamin B15. Some of the most common food sources include liver and beans. Cereals, grains, pumpkin seeds, and sunflower seeds also contain specified amounts of the amino acid derivative. 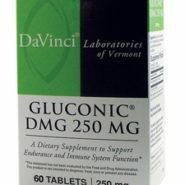 DMG may also be found as a liquid supplement or a water-soluble vitamin. 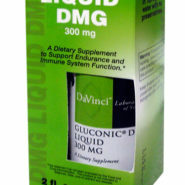 DMG is also compatible with other amino acids such as methionine, which helps to prevent fatty artery buildup. 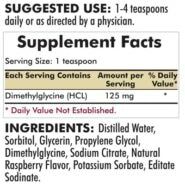 Some doctors may recommend dimethylglycine to address certain health deficiencies. Doses of the amino acid derivative vary based on specific criteria. 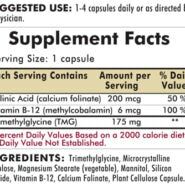 The proper dosage depends on the person’s health, age, and well-being. 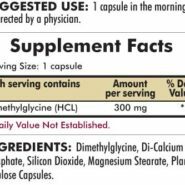 Some healthcare professionals recommend that patients should not use the supplement longer than 28 days to boost energy and mentality. 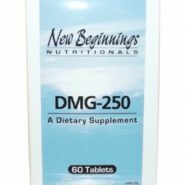 DMG reportedly may cause drowsiness in some people, although medical evidence has not as yet presented any serious side effects. 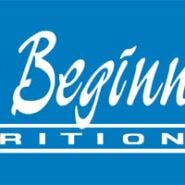 Before going any on supplement regimen, it is usually best to check with a qualified practitioner first. 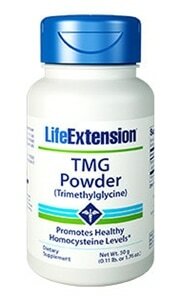 Trimethylglycine (TMG) is an organic substance that is naturally found in the body. 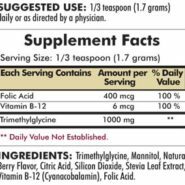 It helps break down homocysteine, an amino acid in the blood; is involved in balancing the tonicity of some cells; and can help stabilize the structure of protein in some circumstances. 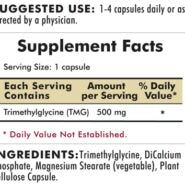 Trimethylglycinemay be included in the daily diet by consuming various healthy foods, and can be found in various nutritional supplements. In addition to that produced by the body, trimethylglycine may be found in various foods such as nuts, seeds, and red meat. 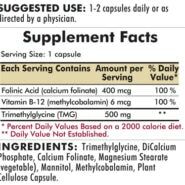 In the body, it can be formed from the breakdown of the elementcholine in the liver. Choline is a water soluble ammonium salt, and it is essential to the body. 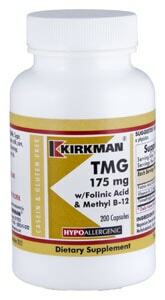 It helps to support cell membranes and also plays an important role in cholinergic neurotransmission. Homocysteine is an amino acid in the blood. 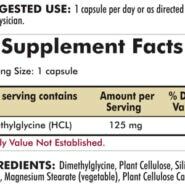 Too much homocysteine in the blood plasma can be an indicator of health conditions including cardiovascular disease; although trimethylglycine has been shown to lower homocysteine levels, there is no clear proof that this has any impact on cardiovascular health. Homocystein levels in the body are mainly influenced by a combination of the daily diet and the body’s genetics. There has also been some suggestion that artherosclerosis patients may also benefit from trimethylglycine. 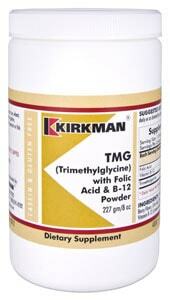 It has been suggested that trimethylglycine may help to support athletic performance. 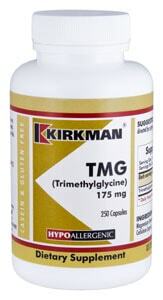 TMG is converted in the body to dimethylglycine (DMG), which is commonly used as a performance enhancer. 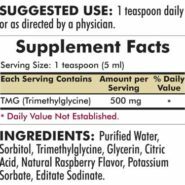 Studies are currently still being conducted to measure its effectiveness.Trimethylglycine may be found in various sport supplements taken by bodybuilders and athletes. 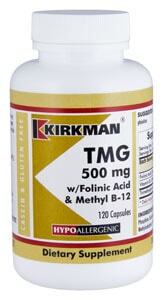 Trimethylglycine may also help to protect the liver against damage caused by excessive use of alcohol. It may help to stimulate the production of S-Adenosylmethionine, a chemical found in the body that naturally supports liver health. 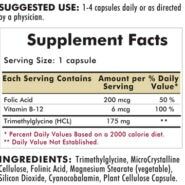 It may also be helpful to remove non-alcoholic forms of fatty acids from the liver. 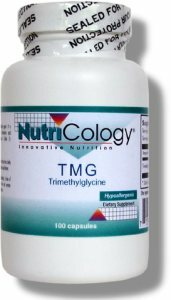 The recommended dosage for trimethlyglycine is between 500 milligrams (about 0.5 grams) and 3,000 milligrams (about 3 grams) daily. It may be taken with meals to increase its absorption. It is not recommended for children without consulting with a healthcare practitioner first. Common side effects may include symptoms such as a dry mouth, nausea, and headaches.